There are cruises from Australia to the United States, but they are fairly rare. Many of the cruises are to Hawaii, and stop at South Pacfic islands along the way. Australia to US cruises depart from Sydney and end at Honolulu, San Diego, Seattle, Los Angeles or New York. 32-day cruise to California from Australia on Oceania Cruises. One-way from Sydney to Los Angeles. Visit Brisbane (Australia), Vanuatu, Fiji, Samoa, Pago Pago, Bora Bora, Moorea, Tahiti, Rangiroa, Nuku Hiva, Hilo (Hawaii), Honolulu (Hawaii) and Nawiliwili (Hawaii). • 2019 departure: March 1. 41-day cruise to California from Australia on Holland America. One-way from Brisbane (Australia) to San Francisco (California). Visit Noumea, Mare, Luganville, Port Vila, Angelghowhat, Fiji, Waitangi, Tauranga, Auckland, Nuku'alofa, Alofi, Rarontonga, Bora Bora, Moorea, Tahiti, Rangiroa, Fakarava, Tahuata and Nuku Hiva. • 2019 departure: March 28. 17-night cruise to Hawaii from Australia on Carnival Cruise Line. One-way from Sydney (Australia) to Honolulu (Hawaii). Visit Noumea, Port Denarau, Tahiti, Moorea and Bora Bora. 27-day cruise to California from Australia on Princess Cruises. One-way from Sydney (Australia) to Los Angeles (California). Visit Fiordland National Park, Dunedin (New Zealand), Akaroa (New Zealand), Tauranga (New Zealand), Auckland (New Zealand), Papeete (Tahiti), Moorea (French Polynesia), Honolulu (Hawaii) and Hilo (Hawaii). 35-day cruise to Hawaii from Australia on Princess Cruises. Round-trip from Sydney (Australia) to Brisbane (Australia), Fiji, Pago Pago, Honolulu (Hawaii), Kauai (Hawaii), Maui (Hawaii), Kona (Hawaii), Hilo (Hawaii), Tahiti, Moorea, Bora Bora, Auckland and Bay of Islands. • 2019 departure: April 9. 19-night cruise to Hawaii from Australia on Celebrity Cruises. One-way from Sydney (Australia) to Honolulu (Hawaii). Visit Bay of Islands (New Zealand), Auckland (New Zealand), Tahiti, Moorea, Bora Bora and Maui (Hawaii). 15-day cruise to Hawaii from Australia on Holland America. One-way from Sydney (Australia) to Honolulu (Hawaii). Visit Mare (New Caledonia), Lifou (New Caledonia), Lautoka (Fiji), Savusavu (Fiji) and Pago Pago (Samoa). 17-night cruise to Hawaii from Australia on Carnival Cruise Line. One-way from Sydney (Australia) to Honolulu (Hawaii). Visit Noumea, Nuku'alofa, Tahiti, Moorea and Bora Bora. 29-day cruise to California from Australia on Princess Cruises. One-way from Sydney (Australia) to Los Angeles (California). Visit Fiordland National Park, Dunedin (New Zealand), Akaroa (New Zealand), Tauranga (New Zealand), Auckland (New Zealand), Pago Pago (American Samoa), Papeete (Tahiti), Moorea (French Polynesia), Hilo (Hawaii) and Honolulu (Hawaii). 35-day cruise to Hawaii from Australia on Princess Cruises. Round-trip from Sydney (Australia) to Brisbane (Australia), Fiji, Pago Pago (American Samoa), Hilo (Hawaii), Kona (Hawaii), Kauai (Hawaii), Maui (Hawaii), Honolulu (Hawaii), Papeete (Tahiti), Moorea, Bora Bora, Auckland (New Zealand) and Bay of Islands (New Zealand). • 2020 departure: April 7. 29-day cruise to California from Australia on Princess Cruises. One-way from Sydney (Australia) to Los Angeles (California). Visit Wellington (New Zealand), Napier (New Zealand), Tauranga (New Zealand), Auckland (New Zealand), Tonga, Apia (Samoa), Bora Bora, Papeete (Tahiti), Honolulu (Hawaii) and Maui (Hawaii). • 2020 departure: April 8. 16-day cruise to Hawaii from Australia on Holland America. One-way from Sydney (Australia) to Honolulu (Hawaii). Visit Noumea (New Caledonia), Lifou (New Caledonia), Lautoka (Fiji), Dravuni Island (Fiji), Savusavu (Fiji) and Pago Pago (American Samoa). • 2020 departure: April 9. 18-night cruise to Hawaii from Australia on Royal Caribbean. One-way from Sydney to Honolulu (Hawaii). Visit Picton (New Zealand), Wellington (New Zealand), Tahiti, Moorea and Bora Bora. 16-night cruise to Hawaii from Australia on Celebrity Cruises. One-way from Sydney (Australia) to Honolulu (Hawaii). Visit Bay of Islands (New Zealand), Auckland (New Zealand), Tahiti, Bora Bora and Maui (Hawaii). 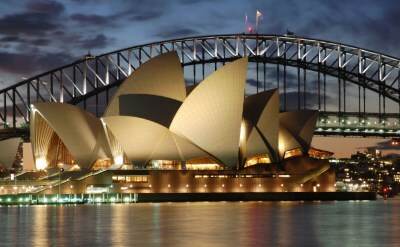 30-day cruise to California from Australia on Seabourn. One-way from Sydney (Australia) to San Francisco (California). Visit Noumea (New Caledonia), Kuto (New Caledonia), Suva, Savusavu, Samoa, Pago Pago, Fanning Island, Kona (Hawaii), Honolulu (Hawaii) and Lanai (Hawaii). 35-day cruise to Hawaii from Australia on Princess Cruises. Round-trip from Sydney (Australia) to Bay of Islands (New Zealand), Auckland (New Zealand), Tahiti, Moorea, Bora Bora, Honolulu (Hawaii), Kauai (Hawaii), Maui (Hawaii), Hilo (Hawaii), Kona (Hawaii), Pago Pago, Fiji and Brisbane (Australia). • 2020 departure: September 1.